Winters in Southern California are not your typical wintery wonderland as children play and have snowball fights while schools are out for a snow day. Instead, Christmas lights are wrapped around palm trees, Christmas music is on the radios of beachgoers, and the chillingly cold of 60-degree weather makes some people put on a light jacket. For dedicated California hockey players, though, winter is hockey season. As they spend their afternoons in school, every night they are at practice or playing in a game. As every player looks to gain a competitive edge and to hone their skills as hockey players, most look forward to the couple weeks of that school is let out to look for additional ice time. To help these dedicated hockey players grow on and off the ice, THE RINKS is proud to announce the All-World Hockey Institute 2017 Winter Camp. 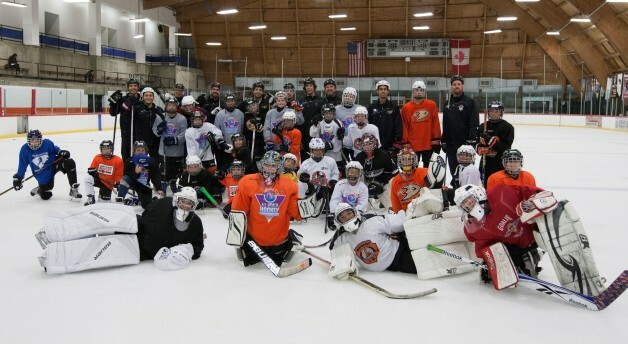 During its 22nd season, the All-World Hockey Institute will be hosting a premiere youth winter hockey camp at THE RINKS-Anaheim ICE after hosting over 500 participants during its summer programming. 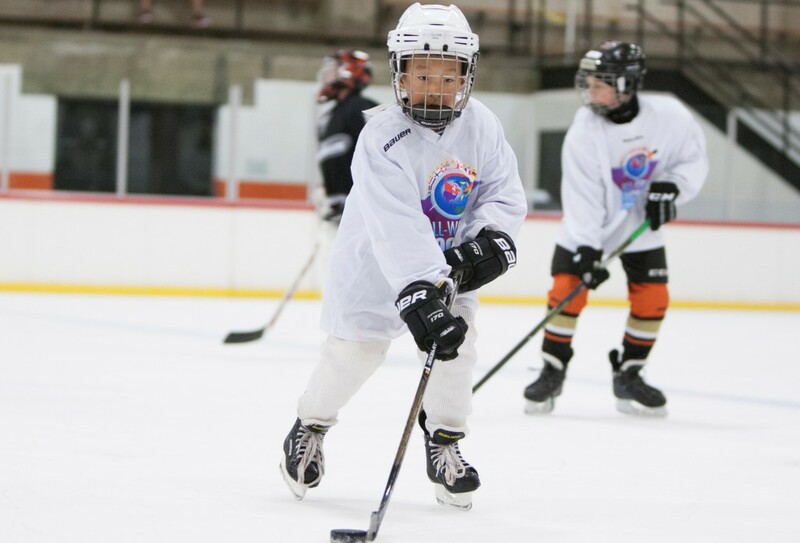 In this camp, kids will spend an unforgettable four days with professional coaches, learning all aspects of the game of ice hockey at Anaheim ICE, the official practice facility of the Anaheim Ducks. Each day of the camp consists of on- and off-ice skills, drills, scrimmages, fun and games. “The All-World Winter Camp is special in that while it is a fun environment for the kids, the coaches constantly challenge them to get better,” said THE RINKS hockey manager Vince Valles. “Many of our current travel hockey players and even high school hockey players have participated in our winter camp, and it shows in their play on the ice as well as their sportsmanship and community involvement off the ice. The focus of our camp is not only improving the skaters’ skills on the ice, but also teaching them sportsmanship, accountability, and just how to be a leader in general. In addition, returning for the winter season is world-renowned camp director Rick Hutchinson. With over 20 seasons of experience, Hutchinson has developed a science of running highly successful programs including helping THE RINKS become a USA Hockey Model Association last year. “Winter is a great time for skill development,” Hutchinson said. “Hockey season is underway, and the kids are really excited to come to the rink each day. That excitement is felt and reciprocated by the coaches, and it makes for a fun and memorable camp experience. While the All-World Hockey Institute Winter Camps will be the main focus on the ice, THE RINKS will also be hosting two holiday camps at THE RINKS–Irvine Inline from Dec. 26-29 and Jan. 2-5. Players attending these four-day camps will experience professional instruction from top inline players to help better their skill development, learn proper techniques, understand the game, and learn the importance of sportsmanship. Every camp is available for players of all levels and are guaranteed to take their game to the next level. To find more information on any of the camps mentioned or if you want to spend your winter at THE RINKS, visit www.the-rinks.com to find out how you can take your game to the next level.